Bath relocation and new Pandora Concept Store! “We’re really excited to be opening a Pandora Concept Store in Bath, while also relocating and expanding fabulous. Pandora recently approached us to see if we would like to open a dedicated Pandora store in Bath, as the brand is still fairly new to the city. We already stock Pandora in our current store, but we also felt that there was more potential for the brand in a dedicated store, as there are so many visitors and day-trippers to Bath. It gives us the scope to bring a wider range of Pandora jewellery and watches to Bath, as well as keeping much more depth of stock and variety of charms and bracelets. The store will also get some new collections in sooner, and have ‘limited edition’ pieces. Our Pandora store will open on Thursday 30th August, with a launch party that evening. In addition, we are re-locating fabulous to a larger unit, still in SouthGate, to give all of our other brands more space, and to allow us to add new collections. This store will also be managed by Becky, so you’ll still see many familiar faces. The unit we are moving to is diagonally opposite where we are now – it’s the old ‘Azendi’ unit on the corner of SouthGate Place. We’ll be adding some great watch brands, like Ice, Radley and Bering, in a dedicated watch area; expanding our Thomas Sabo selection and lots of other brands; and giving customers loads more space to browse. So – we have decided to convert our existing store in SouthGate, Bath to become a Pandora Concept Store. Although it will say ‘Pandora’ above the door, and only stock Pandora products, it will still be owned and operated by fabulous, and many of the same team – including Becky Johnson, our Store Manager in Bath – will still be there. So, you’ll still get the same great, friendly service! To attend our Opening Party, call to reserve your place on 01225 330333, or RSVP to bath@fabulouscollections.co.uk. It’s a new month, with which brings the arrival of new birthdays, anniversaries, milestones and other celebrations. 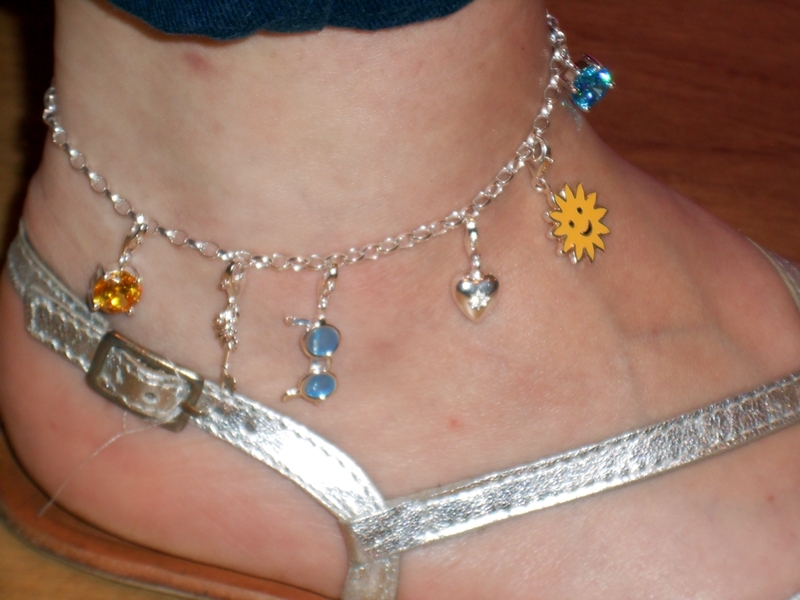 Any excuse to get out our party shoes and wear our favourite designer jewels is good enough for us! With new collections, new trends and the Olympic Games taking place in London; it is set to be a good month! Celebration time also means the time to give the perfect gift to that someone special. If you’re searching for a gift to buy your partner, friend or family member for a celebration this August then we have some ideas that might help you choose that perfect gift! Peridot is the official birthstone for the month of August, a vivid green coloured gemstone with a hint of gold. The peridot was believed to be a stone of spring time and a gift of nature in ancient Egypt, where it was known as the ‘Gem of the Sun’. This beautiful gemstone is one of the oldest known gemstones and is believed to be a powerful cleanser that can help your skin and boost your immune system and metabolism. It is the perfect stone to create a statement piece of jewellery in its eye-catching green that would brighten any outfit! 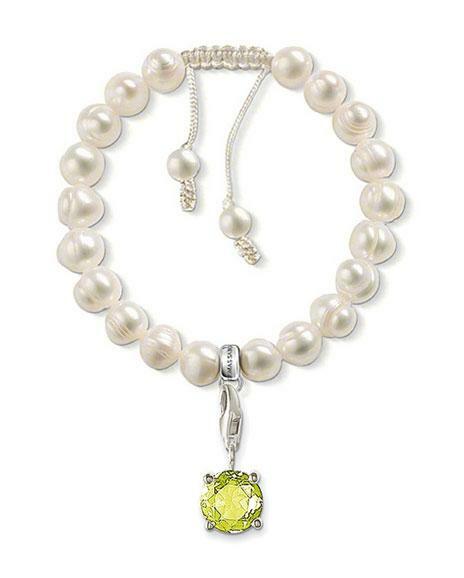 Thomas Sabo’s Freshwater Pearl bracelet is £51.90, and features a gorgeous light green Peridot Charm. It has an adjustable love knot from 16.5cm to 22cm for a versatile fit that will fit most wrists. 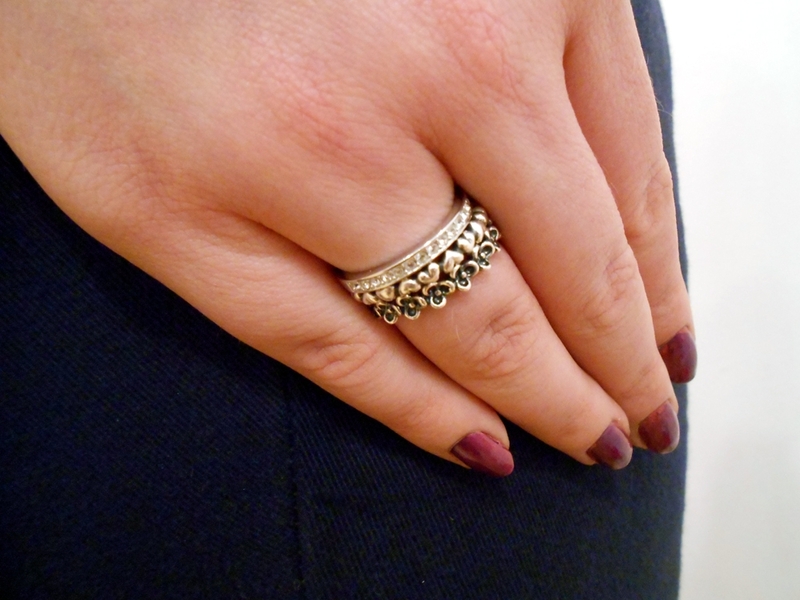 Other designers such as Spinning jewellery have some gorgeous rings featuring the peridot that are a great addition to any collection, whilst a Nomination starter bracelet with a 18ct Gold and Peridot link is a fantastic way to begin a new collection of memories! If green is not the right colour or you wanted something different then there are also many charms with Zodiac signs that would be perfect to commemorate a birthday this month. Someone born between July 23rd and August 22nd is a Leo, whilst those born between August 23rd and September 22nd is a Virgo! Pandora, Nomination and Thomas Sabo have a variety of charms featuring the Zodiac signs that make a fun addition to any collection! 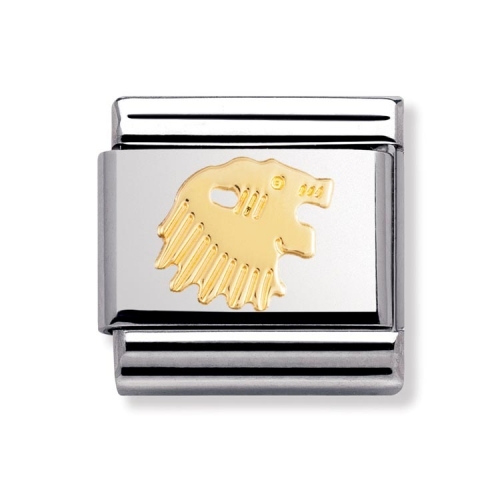 This 18ct Gold Leo charm by Nomination is £16.00. Designers such as Trollbeads and Swarovski feature milestone charms in their collections for those special birthdays. Celebrate a new birth, a sweet sixteen, an 18th or a 50th birthday with a meaningful number charm. Alternatively, add a fun charm like a birthday cake to commemorate an occasion! Or to make something more personal, Trollbeads have beads that you can have engraved for the perfect keepsake to remember a special occasion. Their Silver Scroll Charm Bead for £59.00 gives you 13 characters x 9 lines to compose your special message. Celebrities both in the UK and in the US are frequently spotted wearing designers such as Good Works, ChloBo and Tresor Paris. Good Works have collections of cool bracelets featuring a host of inspirational messages in a variety of different colours, a cool addition to any outfit. Prices range from £35 – £65.00. 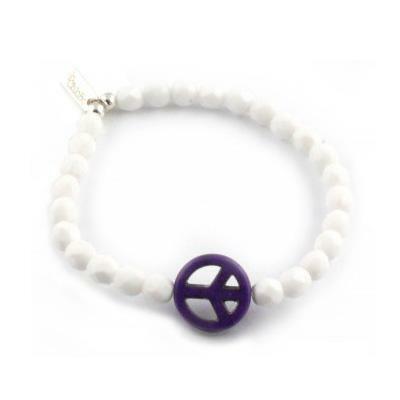 The ever -popular collections by ChloBo are chic and stylish, with pieces such as these Ice Pop Peace Bracelets, that are available in a variety of different colours at £40, which add a touch of hippie chic to create the perfect addition to any festival outfit this season! Every man needs a statement watch. If he’s active and sporty select one of the gorgeous watches from Swatch or Bering. For a classic look choose from the stunning collections by Calvin Klein or Toy Watch for something on-trend yet practical. Fred Bennett have a wide collection of accessories for men from bracelets to cufflinks, whilst Nialaya are setting the trends at the moment with their Crystal Bracelets that are frequently spotted on the wrist of the biggest names in Hollywood. 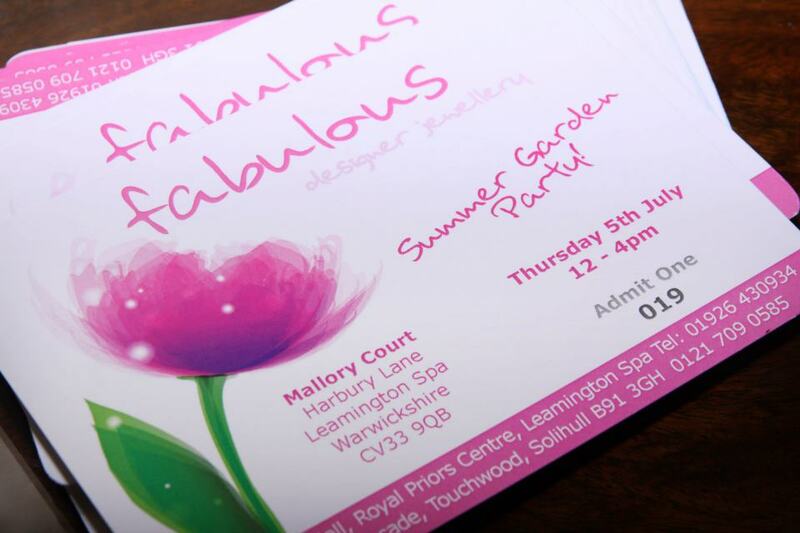 Fashion Show in the Royal Priors, Leamington Spa! 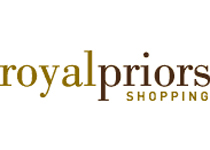 Tomorrow (Saturday 28th July) the Royal Priors Centre in Leamington Spa are hosting a Summer Fashion Show where our fabulous collections will be on display! This event will feature six live fashion shows featuring professional male and female models showcasing the latest Summer trends, as well as free style surgeries for some top tips! Each show will display all things fashionable from ‘Summer Trend’, ‘The Perfect Jean’ and ‘Occasion Wear’. The fashion show for Trend Wear will run at 11am and 2am displaying the outfits of Topshop, Bank and Jigsaw; Jean Shows will be at 12pm and 3pm featuring items from Republic and Superdry; and Occasion Wear Shows will be taking place at 1pm and 4pm featuring some gorgeous outfits from Topman/Topshop and Bank. These fab outfits will be completed by fabulous accessories! We will be showing many of our watch ranges such as Bering, Toy and summery designs from Moschino, as well as some stunning pieces from Ashiana, Story, Good Works and Swarovski! So why not come along to the Priors tomorrow for some top tips on how to find that perfect pair of jeans, that statement piece of jewellery to complete your outfit, or just enjoy the latest trends and some fabulous summer entertainment here in Leamington! 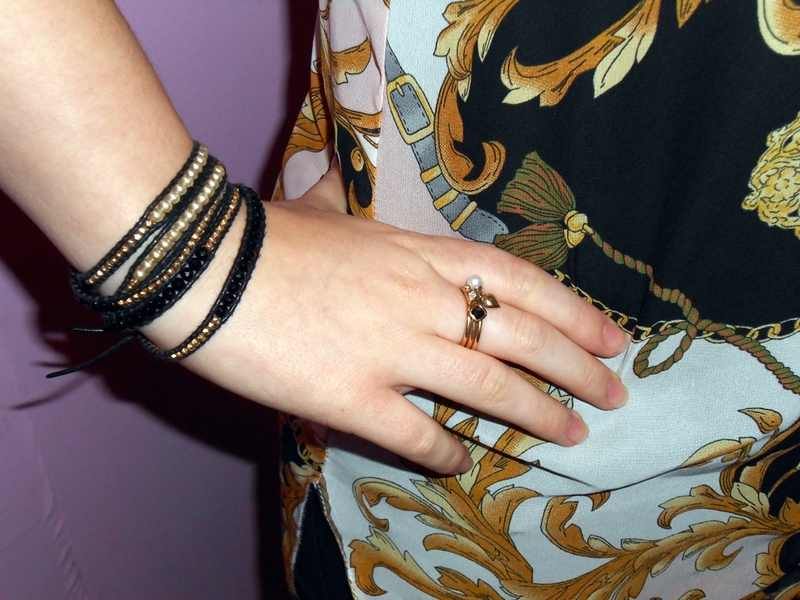 Thomas Sabo – Sweet Diamonds Launch! fabulous is excited to launch the newest addition to the Thomas Sabo brand into our Solihull store. The beautiful Sweet Diamonds collection will sit along side our fantastic offering of Thomas Sabo Sterling Silver, Charm Club and Watches. On Saturday 28th and Sunday 29th July, our Solihull staff and customers will celebrate the official launch of Sweet Diamonds arriving at fabulous. 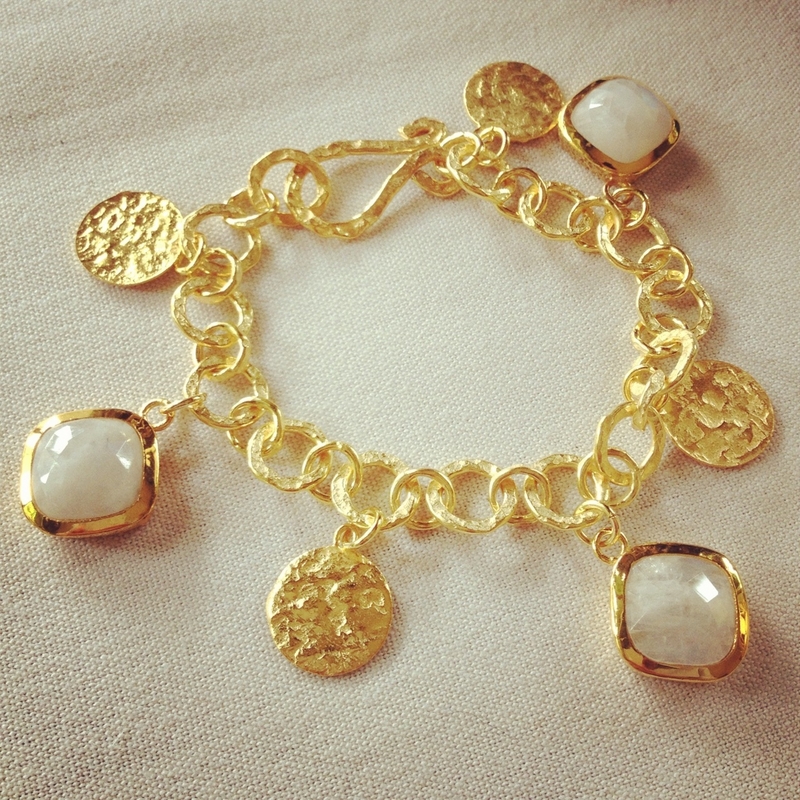 Customers will get the chance to browse the beautiful jewellery whilst enjoying bubbly and sweet treats. What’s more the customers who shop the collection that weekend could leave with some exclusive Sabo goodies. Sweet Diamonds is the new diamond jewellery collection from designers Thomas Sabo and Susanne Kölbli. They have taken some of our most popular Thomas Sabo motifs and embellished them with 14ct Yellow Gold and a sweet little diamond, making them the perfect gift for the most special occasions. To complete the look they’ve even given their popular packaging an upgrade and created stunning heart shaped boxes, in Thomas Sabo’s iconic black and white, with a cute satin bow! So don’t miss out on the chance to see the collection in all its glory. If you’d like to join us, pop into the Solihull store over the launch weekend and treat yourself or a loved one! We always love a day exploring the newest Thomas Sabo collections but this time we were particularly keen to see how the Special Additions collection from earlier this year had been transformed for the new seasons – and we weren’t disappointed! Designers Thomas Sabo and Susanne Kölbli have developed a stunning rose shape and paired it with more vintage shapes and patterns to create the perfect charms to layer. They are sure to echo the trends in place by the release of ‘The Great Gatsby’ later this year. As well as this they have introduced some fabulous, semi-precious stone necklaces to wear your favourite charms and pendants on. The colour palette is perfect for Autumn/Winter, with neutral tigers eye and garnet, as well as more glitzy hematite and black obsidian. Along with Special Additions, Thomas Sabo have released new pieces for their edgy ‘Rebel at Heart’ line and the feminine ‘Classic’ and Seasonal collections. Highlights of the collection include rings and earrings using the rose emblem featured heavily in Special Additions, in glittering black and white cubic Zirconia, as well as a development of the vintage shapes in Sterling Silver and Hematite. 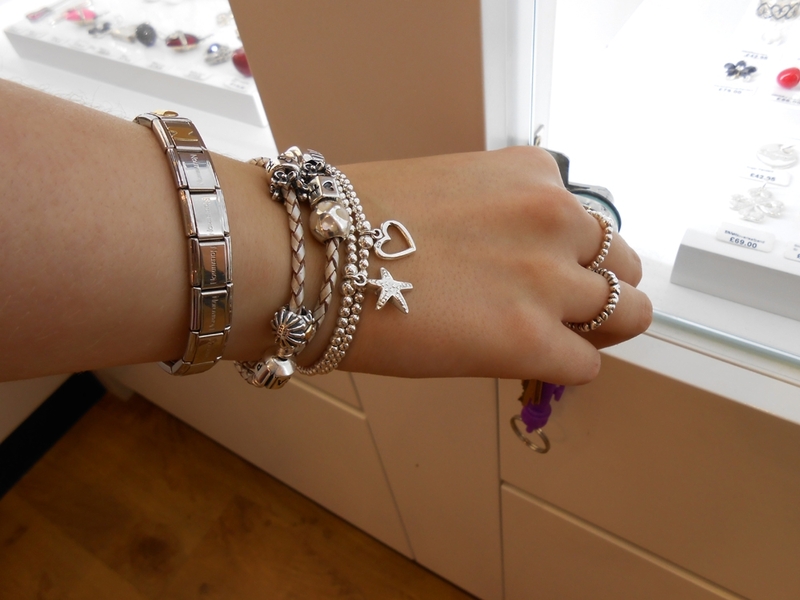 These are soon to be seasonal must-haves for all our Thomas Sabo fans! Although it’s only July, we can’t help but be excited about the perfect Christmas offering, centred around a positively cute Polar bear on a large, faceted rock crystal alongside sparkling snowflakes and a gorgeous winter boot! The collections will arrive into all of our fabulous stores and online any day now…so pop into one of our stores or check our website to be the first to add to your Sabo collection! Garden Party Competition Blog Winner – Jo-ann Bramston! “What a lovely experience – it was the first time my friend Kerrie and I had been to one of Fabulous’ Garden Parties so we weren’t too sure what to expect. 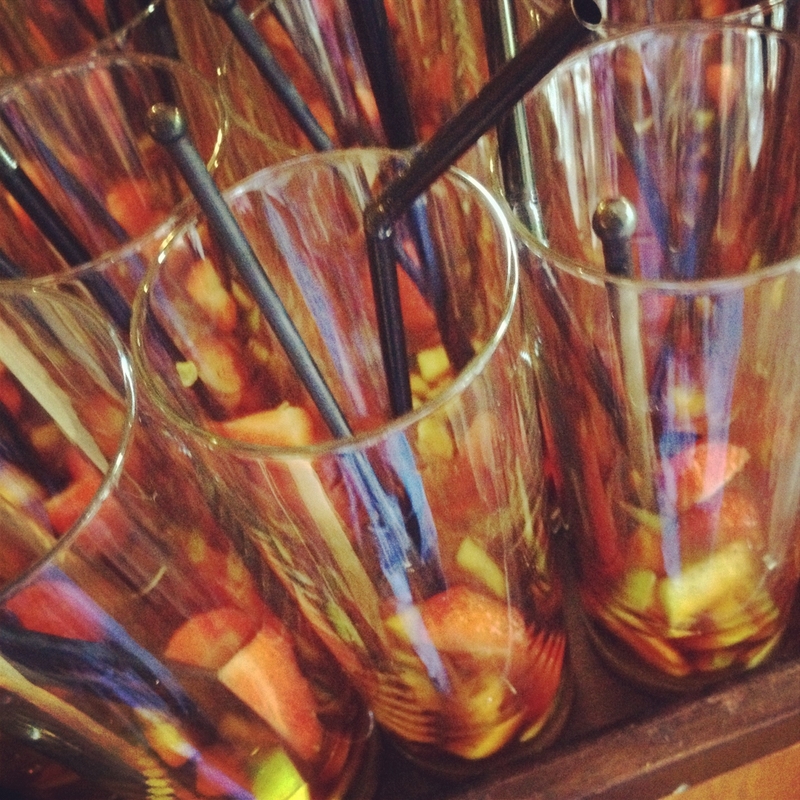 We were greeted by some very friendly staff at Mallory Court and handed a very welcome glass of Pimms! We had a look around the stalls and saw some very interesting pieces of jewellery that we would think about over lunch. We then took the opportunity to wonder around the gardens in the sunshine, “Yes Sunshine”, before we were given an informative brief of what was on offer by fabulous Managing Director, Jo. 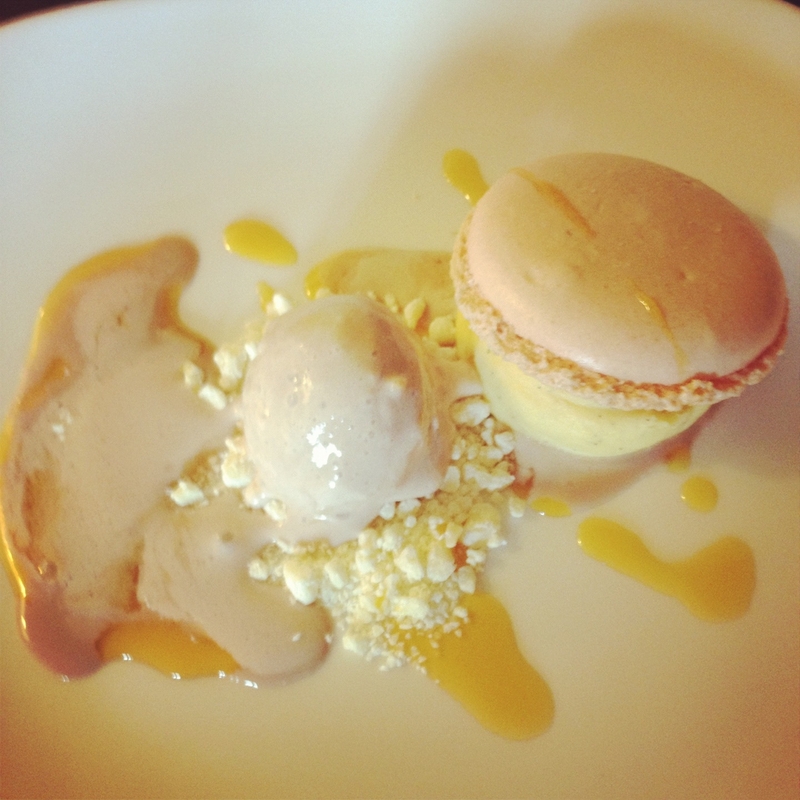 We then sat down to a gorgeous lunch with every course being as good as the last. We were able to chat to others on the table and view some of the jewellery and the hosts come and talked us through their pieces. 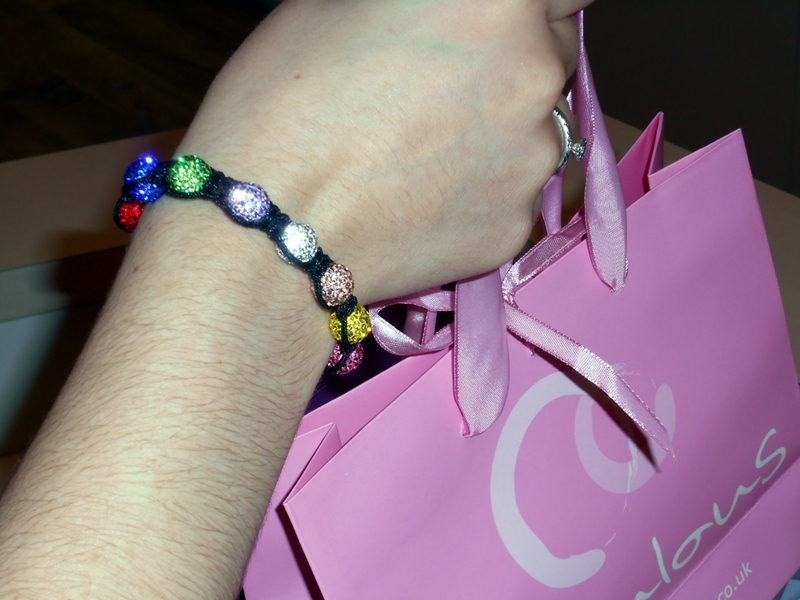 After lunch we of course went and spent our hard earned money – very happy with our designer purchases- where we were handed a fabulous ‘goody bag’ before departing! These next two blogs made us smile when we read them, so we’re sending both Simon Crew and Nicky Frogly a £5 voucher to spend online too. Thank you all for your kind words, we’re so pleased you all had a fab time! “People may ask, ‘what’s in a word’. Well, the answer is, the jewellery, the hosts, the venue, the catering and even the weather for the third year running. Well done and thank you! See you next year…!